Convert PDF documents to EPUB (short for electronic publication; alternatively capitalized as ePub, ePUB, EPub, or epub, with "EPUB" preferred by the vendor) eBooks for free. 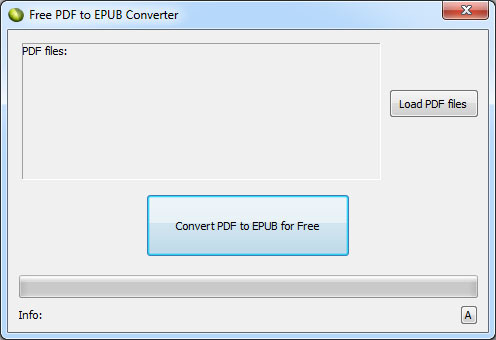 PDF to EPUB Converter supports Batch Mode that converts a lot of PDF documents into EPUB eBooks at one time. Capable to convert password protected PDF files to preferable epub ebook type.